If you haven’t seen American Sniper, the Clint Eastwood movie celebrating the life of Navy SEAL Chris Kyle, you should go see it – TODAY. One reason that I recommend seeing American Sniper is that it tells, perhaps better than any movie since 1941 and Sergeant York with Gary Cooper, the warts and all life story of a real American hero. But there’s another subtler reason to see American Sniper, and that is that the movie is a celebration of the patriotism, integrity and intelligence of the “country class” of Americans who volunteer for and serve in our armed forces. American Sniper is not a political movie, it is at its core a movie about values, about character and how values and character inform the choices, large and small, in every person’s life. You don’t learn that at Harvard or the Georgetown University School of Foreign Service. Chris Kyle and those who served with him in Iraq learned that from their parents, from their churches and the communities that formed their values as children. 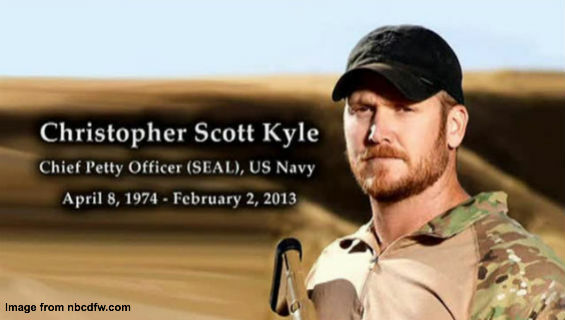 If there’s one takeaway you get beside the incredible skill and dedication of Chris Kyle it is that he got it. He understood what he and his fellow warriors were doing in Iraq in the only terms that matter – good versus evil. The notion that everything is negotiable; that there is no right or wrong, just shades of grey is what froze America throughout the Cold War. It wasn’t until Ronald Reagan articulated politically what millions of Americans understood in their hearts to be true – that the Soviet Union was an Evil Empire, not just a political competitor – that America, over the objections of the Washington elite of both political parties, summoned the will to defeat Communism. Like Chris Kyle, millions of Americans of the “country class” understand that same lesson applies to radical Islam. But when I walked out of American Sniper what stuck in my mind was that due to their values and temperament Washington’s elite will never understand that sheep, wolves and sheepdogs metaphor. To them there is no right or wrong, good or evil. And by dismissing the policy demands of a war fought on the basis of good versus evil, it is as though Washington’s elite have evolved into a new, fourth form of humanity, not envisioned by Chris Kyle and his father; human vultures, or some other creature that does not have the audacity of the wolf, but still has the ravening appetite to prey upon the sheep. We never have enough sheepdogs, but a shortage of sheepdogs like Chris Kyle is not what is causing America and the West to be close to losing the war radical Islam declared on us -- it is where those sheepdogs are patrolling. It is that fourth species, human vultures, or wolf apologists, that let lawyers run wars and knows good versus evil only in the small things in life, not in the great lives of nations and civilizations, that is our most dangerous enemy. And the only way to defeat that enemy is to get more sheepdogs to Washington and to take to Congress and the White House the values that Chris Kyle exemplified in his life, and that Clint Eastwood, and Bradley Cooper and the rest of cast, portrayed so well in American Sniper.